George Reardon has devoted his entire working life to employment-related professions -- as a businessman in the group employee benefits business, as an officer in the U.S. Army’s Adjutant General Corps, as a private law practitioner, and, for 20 years, as general counsel for three national and international staffing firms. His many years of involvement and leadership in staffing industry organizations give him broad understanding and problem-solving ability for dealing with the contingent workforce and the issues that arise in connection with it. He is a frequent writer and speaker on contingent workforce subjects. The North American zone of Adecco, the World’s largest staffing firm, produced several billion dollars in annual sales, operating multiple staffing lines through corporately-owned and franchised branches. Kelly is a global, publicly-owned full-line staffing firm with several billion dollars in annual sales in clerical, industrial, financial, legal, engineering, education, health care, PEO, vendor management, HR consulting, government contracting, and other fields. In this private law practice, Mr. Reardon advised and represented Talent Tree as its outside general counsel, as well as numerous other clients, principally firms in the franchising and personnel/staffing businesses. Talent Tree was a temporary personnel company that in the mid-1990's annually sold $300 million in office support and light industrial services. It also had divisions engaged in the technical staffing, legal staffing, and health care staffing businesses. In 1990, Mr. Reardon created Talent Tree's first franchise offering, which was rated by Entrepreneur magazine as one of the top 30 new franchises at that time. Snelling and Snelling, Inc., was a public company that maintained over 500 employment service franchises in the U.S., Canada, and Brazil during the 1980's. 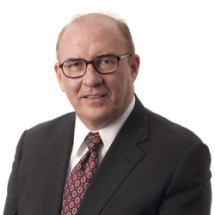 Mr. Reardon was counsel for the startup of the Snelling Temporaries franchise system. In five years, Snelling Temporaries grew to more than 125 franchised units and became a highly acclaimed franchise offering. Mr. Reardon worked in technical aspects of this employee benefits brokerage and consulting firm from 1968 to 1975, with leaves for military service and law school, and he served as Vice President and General Counsel from 1976 through 1982. Staffing Association Work: For 12 years, Mr. Reardon represented Adecco North America and Kelly Services on the American Staffing Association's board of directors and executive committee. He has also served as a director of the Texas Association of Staffing in the early 1990’s and, more recently, as a director of the Houston Area Association of Personnel Consultants. Military: As a commissioned Army officer, Mr. Reardon was Chief of Administrative Services of Fort Sheridan, Illinois and, during 8 months of service in Vietnam, created and managed one of the first drug abuse testing programs. High-ranking graduate of U.S. Army Engineer Officer Candidate School, commissioned in Adjutant General Corps. Admitted to practice law in Florida, Texas, and Michigan. Selected for Staffing Industry Analysts’ “Staffing 100” for 2011, 2012, 2013, and 2014. Healthcare Reform: Your Options and Which One is Right for You, keynote presentation to the Staffing Industry Executive Forum, March 18th, 2014. Healthcare Reform: Which Route To Take?, (the factors that affect a firm's decision to offer insurance or pay fines), Parts I and II, Staffing Industry Review, July and August 2013. The Long and Winding Road: How To Strategically Plan For the ACA and Reduce Expenses, Staffing Industry Review, September 2013. Healthcare Reform and Its Impact on Contingent Workers, keynote address to annual conference of VMS Professionals, May 31, 2013. The Challenges and Opportunities Of Healthcare Reform For Placement Firms, presentation to the Houston Area Association of Personnel Consultants, January 24, 2013. Penalties and Discrimination Rules Under the Health Care Reform Law, webinar for TechServe Alliance, October 16, 2012. Employee Noncompetes: How to Play Offense and Defense, presentation to annual convention of American Staffing Association, October 10, 2012. Healthcare Reform Ruling Paves Way for Employer Penalties, Staffing Industry Report, July 11, 2012. Co-Employment: Dispelling the Myths, webinar for TechServe Alliance, June 7, 2012. Healthcare Reform and Its Impact on Contingent Workers, keynote address to annual conference of VMS Professionals, May 31, 2012. Employment Services Industry Session, presentation to Risk and Insurance Management Society annual convention, April 17, 2012. What You Don’t See [in customer contracts] Can Hurt You, Staffing Industry Review, April 2012. Penalty Avoidance and Competitive Advantage Under the Health Care Reform Law, presentation to the Staffing Industry Executive Forum, March 14, 2012. Legs and Regs, Staffing Industry Analysts’ legal update webinars for users of contingent labor, May 26, 2011, November 17, 2011, February 16, 2012, and December 13, 2012. Workers’ Compensation Immunity for Texas Staffing Customer Affirmed – With a Surprising and Troublesome Twist, Littler ASAP, January 31, 2012, http://www.littler.com/publication-press/publication/workers-compensation-immunity-texas-staffing-customer-affirmed-%E2%80%93-surpr. The Myths and Reality of Contingent Workforce Legal Risk, keynote address to Contingent Workforce Risk Forum, October 5, 2011. A Hard Pill To Swallow: Why Healthcare Reform Poses Serious Threats to Staffing, Staffing Industry Review, July 2011. IC Compliance: It's No Longer a Choice for CW Managers, presentation to Staffing Industry Analysts CWS Council, April 20, 2011. Term Limits for Contingent Workers: Urban Legend or Necessary Fix?, Littler Insight, December 2010, http://www.littler.com/publication-press/publication/term-limits-contingent-workers-urban-legend-or-necessary-fix. Healthcare Reform to Raise Costs, Add Administrative Burden: How Staffing Firms Should Handle It, Littler Insight, October, 2011, http://www.littler.com/publication-press/publication/healthcare-reform-raise-costs-add-administrative-burden-how-staffing-f. Staffing Client Interview Pay Issue Spreads in California, Littler ASAP, September 2010, http://www.littler.com/publication-press/publication/staffing-client-interview-pay-issue-spreads-california. American Health Benefit Exchanges, presentation to National Association of Professional Employer Organizations annual conference, September 28, 2010.